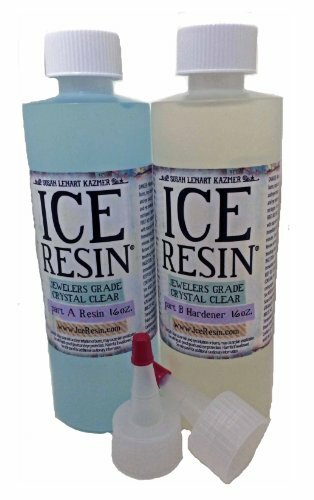 Jeweler's Grade crystal clear Ice Resin. 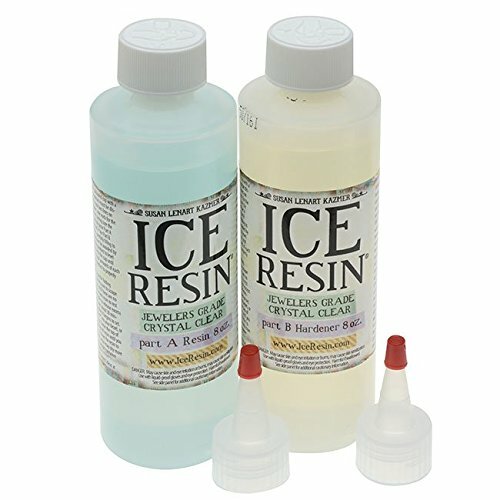 ICE Resin is a clear resin that never fades, yellows or chips. It's safe to use indoors and is the ideal use for projects you want to preserve. Use to make pendants and jewelry components. Can be colored with opaque and transparent pigments. 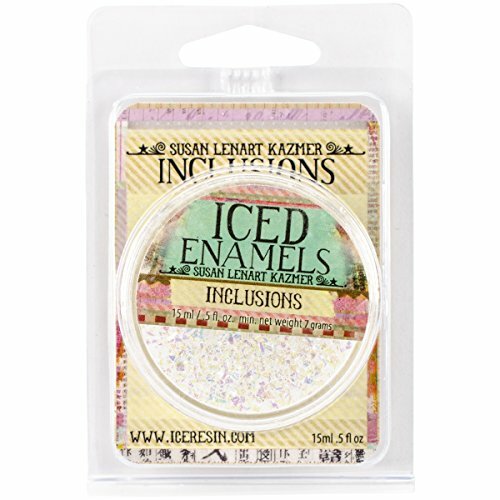 ICE Resin is Susan Lenart Kazmer's signature product. 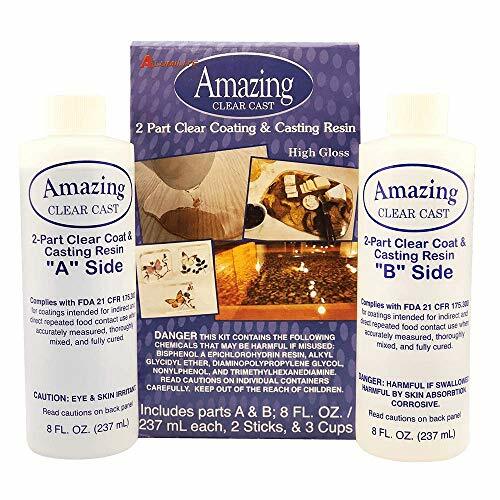 It is a jeweler's grade, non-toxic-when-cured, ultra clear, epoxy resin. 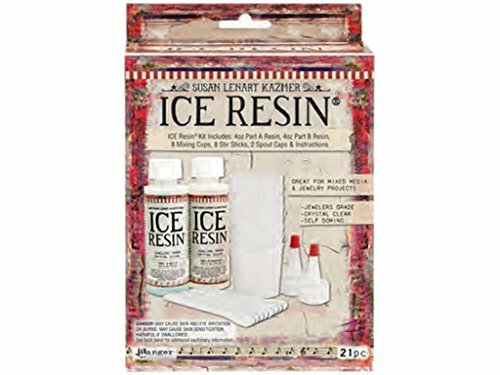 ICE Resin is the preferred resin art medium for professional artists who sell their mixed-media jewelry and art work because it will not fade or yellow over time. Crafters who wish to create heritage jewelry are also pleased with the beautiful clarity ICE Resin makes it possible for them to achieve and preserve. 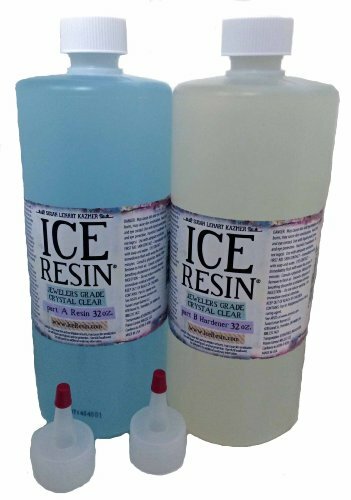 ICE Resin 32 oz. Refill, (16 oz. Resin/16 oz. Hardener) Here is a great value for large production work. 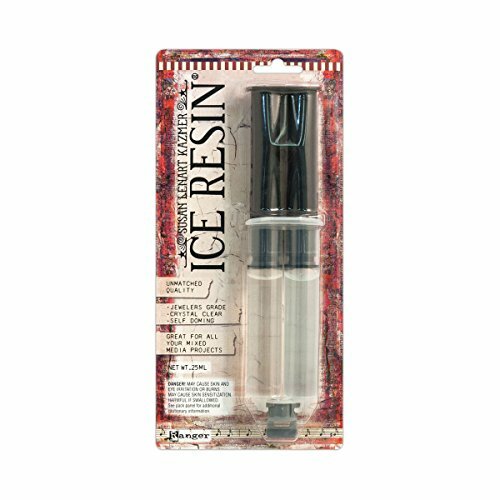 ICE RESIN-Ice Resin 64 oz Refill Kit. This is jewelers grade with unmatched quality! It can be used in jewelry craft projects paper arts and more. This package contains one 32 oz bottle of part A Resin one 32 oz bottle of part B hardener and two different screw top lids. Made in USA. 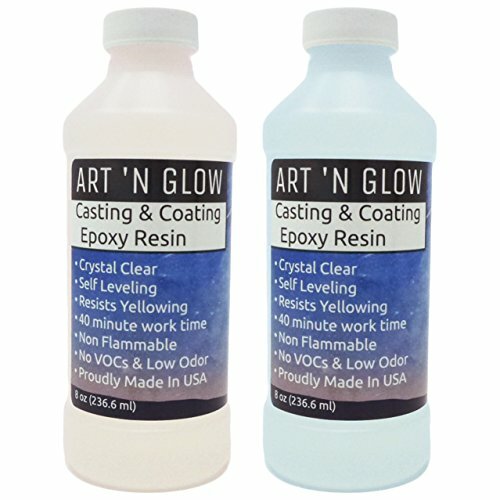 This crystal clear, self doming, Jewelers grade, ice resin, is perfect for any mixed media project. Makes one ounce of resin, without measuring. Just push and Stir. Mix a little or a lot. Just Replace cap when done to save any unused product. 25 ml non toxic, when cured disposable mixing cup and stick is not included. Art Mechanique Inclusions, Shattered Opal: Capture opalescent beauty when you add this light catching Shattered Inclusion to your designs under ICE Resin or sprinkled above any of the Relique Powders in our Cold Enameling System. Also in Fire Opal!. 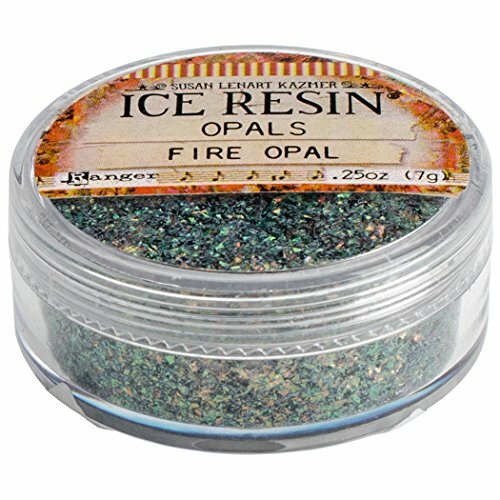 Art Mechanique Inclusions, Shattered Fire Opal: Fire Opal is the perfect Shattered Inclusion when you want to add dazzle to your designs under ICE Resin or on top of any of the Relique Powders in our Cold Enameling System. Also in Opal. Shopping Results for "Ice Resin"